Islamabad, April 10: Prime Minister Imran Khan on Tuesday said that Pakistan had opted for a "measured response" to India's February 26 air strikes by bombing an empty area just across the Indian border. During an informal chat with a group of foreign journalists, Khan said that he was awakened by a phone call at 3.30 a.m. on February 26 when a Pakistani military official informed him that Indian warplanes had just crossed the border and conducted strikes on Pakistani soil. Congress Responsible for Creation of Pakistan, Says Narendra Modi. Pakistan opted for a "measured response" and bombed an empty area just across the Indian border, he said. "They hit our trees, so we thought we would hit their stones," The New York Times quoted Prime Minister Khan as saying. He was talking to the journalists upon completion of his first eight months in office. As a "peace gesture", he had announced the release of Indian Air Force pilot Wing Commander Abhinandan Varthaman in Pakistan Parliament on February 28. The Wing Commander was held captive by Pakistani authorities on February 27 after his MiG 21 Bison went down during a beyond visual range combat with Pakistani jets. Before his plane was hit, Varthaman shot down an F-16 of the Pakistan Air Force. He was released by Pakistanon March 1. According to the newspaper, Prime Minister Khan seemed quite cognisant that the last thing Pakistan wanted was a war. The Indian Air Force had hit a terrorist training camp in Balakot in Pakistan on February 26 in retaliation to February 14 Pulwama terror attack in which 40 CRPF soldiers lost their lives. Baisakhi 2019: Pakistan Issues Visas to 2,200 Sikh Pilgrims From India Ahead of Vaisakhi. 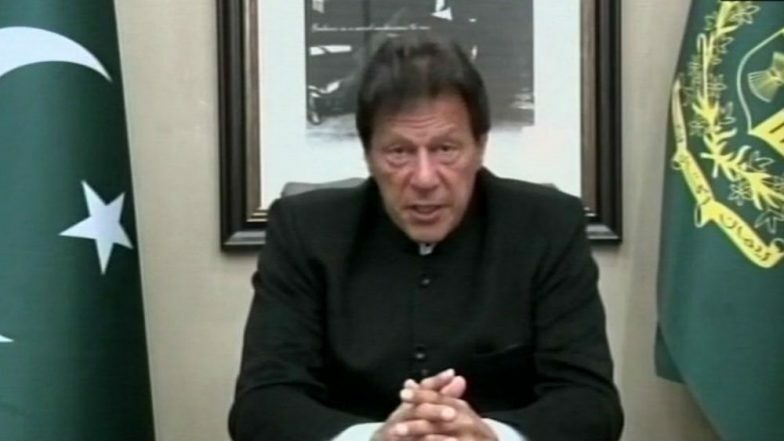 The responsibility for the Pulwama attack was claimed by Pakistan-based terror outfit Jaish-e-Mohammed (JeM).On the threat from Paris-based Financial Action Task Force to blacklist and sanction Pakistan, Prime Minister Khan said, "We can't afford to be blacklisted. "The Task Force, a global agency, takes measures for combating money laundering, terrorist financing and other related threats to the integrity of the international financial system.